It's the weekend and you want to Luau, but you just don't know what to serve. You're answer is right here! Grill these skewers up and grab the grass skirts! Season pork with salt and pepper. 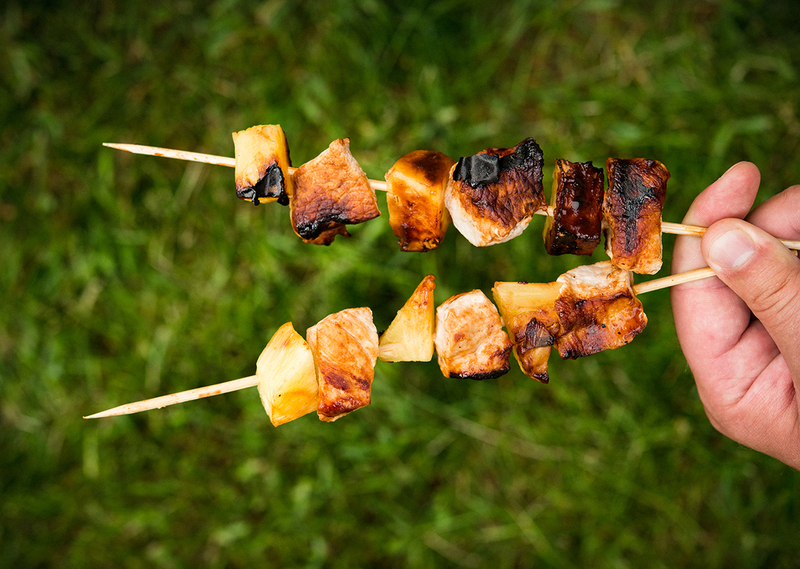 Place one cube of pork on a skewer, followed by one piece of pineapple, alternating until the skewer is full. Repeat with the remaining skewers. Brush one side of each skewer with BBQ sauce and lay BBQ sauce side down on the preheated grill. Brush the top side with BBQ sauce and place the lid on the grill. Grill the skewers for 4 minutes per side. Serve immediately.